Hospitals are a non-stop operation. The hectic hours and demanding schedules required to keep such an operation at peak performance 24/7/365 impact numerous departments in a hospital. Foodservice is not exempt from these demands. Food courts offering a variety of quick serve options and even full-service restaurants alongside the traditional cafeteria still do not address a growing trend in hospital foodservice. The grab and go market in the healthcare market continues to rise as busy lifestyles of staff and visitors are driving demand and revenues from this segment are growing upwards of 70%+ for facilities. 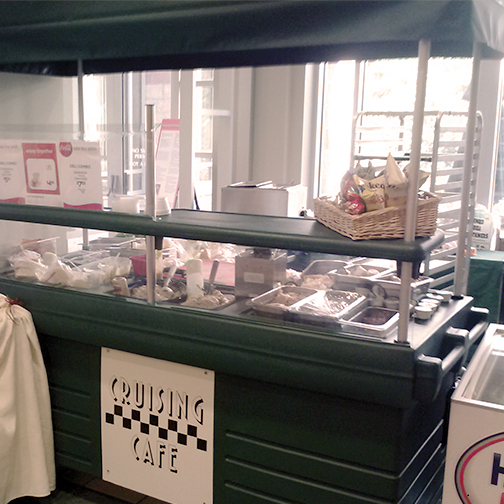 Flagner Hospital in St. Augustine, FL added Cambro CamKiosks mobile vending carts to expand lunch options. 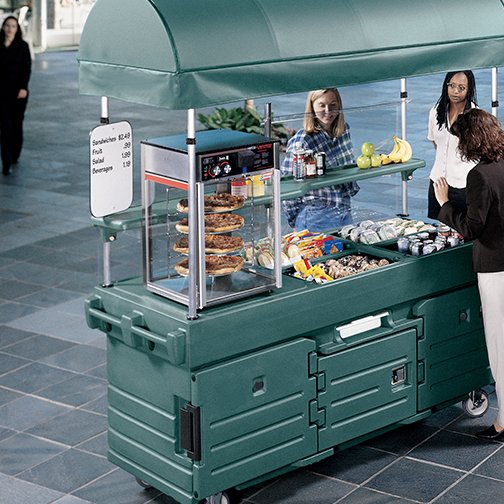 Mobile vending solutions allow the flexibility to offer sandwiches, snacks, and beverages. With a 24/7 operation, foodservice needs to be where the demand is and mobile vending is the way to offer healthy menu items at affordable price. For more information on Cambro Mobile Vending Solutions, click here. Visit for more information on Cambro Healthcare Solutions visit www.cambro.com/healthcare.